“Notorious” – def. – famous or well know, typically for some bad quality or deed. As a family law attorney for almost 17 years, I’ve had the distinct honor of advocating on behalf of some amazing M.O.M.s . In celebration of women’s history month, I want to give a shout out to all the women who sacrifice so much. Although I find great fulfillment in my law career, it doesn’t compare to being a mom to my amazing son. Yes, each M.O.M. is Notorious in her own unique and special way, and I define that as having the ability to laugh at our mistakes, be a bit mischievous when called for, live in the moment because childhood goes by in a flash, bring out your momma bear when needed, and have a big wide open heart. Marie Curie. This notorious M.O.M. was best known for being the first woman to win a Nobel Prize. She also raised her two young daughters alone after her husband died in an accident in 1906. One of their daughters, Irène Joliot-Curie, went on to co-win the Nobel Prize in Chemistry with her husband for their own work with radioactivity. Joliot-Curie said her mother instilled hard work and flexibility in her children. Sojourner Truth. In 1826, Sojourner Truth and her infant daughter escaped slavery in Ulster County, New York. Soon after her escape, she heard that her 5-year-old son, Peter, was illegally sold to a man in Alabama. Truth raised money for a lawyer, filed a complaint in court, and successfully got Peter out of slavery—a landmark case in which a black woman successfully sued a white man in court. Truth went on to become a Christian preacher in New York City and toured the northeast, speaking about the Bible, abolition, and women’s suffrage. Mary Kay Ash. At the age of 45, Mary Kay Ash founded Mary Kay Cosmetics in 1963, and it has since become a billion-dollar cosmetics company. As a single mom, she was working in sales at a home products company to support her three children, but she was repeatedly passed over for promotions, despite her being one of the top sales directors. Ash took those skills with her when she launched her namesake company, and she worked to give hundreds of thousands of women an avenue to work as sales consultants on their own time, effectively becoming their own bosses. 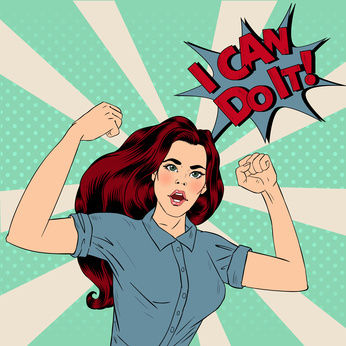 Do all of these Moms have superhuman traits – you bet they do and I am betting that you do too! This I believe is the true definition of “Notorious”! Now, all you Moms, go out there and keep changing the world!